The National Coastal Tourism Academy (NCTA) is the only organisation in the UK that focuses exclusively on coastal tourism. The NCTA team has a wealth of skills and experience gained in a variety of sectors in the travel and tourism industry, including hotels, cruising, tourist offices and attractions, alongside academic qualifications and experience of leading tourism strategy and development. The team is well-placed to create ground-breaking new initiatives to change the face of Britain’s coastal tourism industry. Samantha is the NCTA Director. She has directed the research, visitor experience, training and communications programmes of the Academy since its launch in summer 2013, including Coastal Communities Fund, UKCES and Discover England Fund projects. Sam’s work focuses on national engagement and partnerships that will help boost tourism and the economies of coastal communities. Working closely with a wide range of stakeholders including central government, VisitBritain, coastal businesses, destinations, Coastal Community Teams and LEPs. 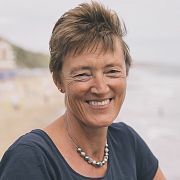 She led on the creation of the Vision for the Coastal Visitor Economy and is working with the Coastal Tourism Leadership Form to deliver its objectives. Sam is currently leading on the “England’s Coast” project, funded by the Discover England Fund, it aims to attract visitors from Germany, the Netherlands and France to our stunning coastline. 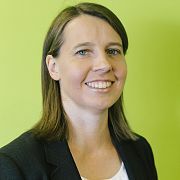 Jo provides business management to the Academy and in addition to overseeing its finance and HR, has been responsible for commissioning research programmes. 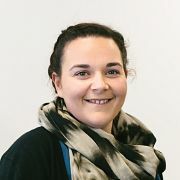 An expert in understanding different research models and analysing results, she has managed a number of the Academy’s primary research projects including the evaluation of a new coastal attraction and new coastal event. She has also evaluated a series of business and consumer surveys to assess the needs of tourism SMEs to help them expand and meet customer needs in coastal resorts. Jo draws on a wealth of experience from tourist attractions and working with destination management organisations. Sheron is responsible for the communications of the NCTA, internally, locally, regionally and nationally. She disseminates the Academy’s coastal tourism research projects, visitor experience initiatives, industry insights and employment issues in the hospitality industry via the website’s Resource Hub and through the national trade and consumer media. She also publicises the Academy’s conferences, master classes, events and training courses. 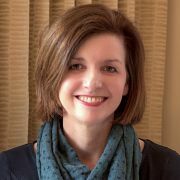 Before joining the NCTA, Sheron was a travel journalist for almost 25 years, and latterly worked in media relations for Bournemouth Tourism, Poole Tourism and the Dorset Local Enterprise Partnership. Armed with a first class degree in photography, Alex handles all of the Academy’s marketing material’s design and production. He creates video content, imagery and graphic design for our training courses, research papers and visitor experience reports on our website. He designs our newsletters, media releases and helps deliver the NCTA’s marketing and communications strategy. Elaine is the Trade Sales Executive for England’s Coast, our Discover England Fund project, and is the key point of contact for travel trade buyers and suppliers. She builds industry support of the coastal tourism product to our target international markets in the Netherlands, Germany and France and co-ordinates our presence at trade shows. She also creates sample trade itineraries, oversees the website trade portal and liaises with commercial partners. Elaine’s background is in conference and events management and corporate travel and holds a degree in Human Geography and International Politics. Katy is the first point of contact for our stakeholders, coastal tourism businesses and destinations. She’s responsible for organising our events, conferences, training and workshop sessions around the coast. In addition to ensuring the smooth-running of the NCTA day-to-day, Katy liaises with trade contacts, suppliers and tourism colleagues for our England’s Coast Discover England Fund project. She has a solid background in event management and holds a degree in psychology. 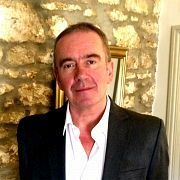 David A Thornton has worked in marketing, development and partnership roles in Blackpool, Cornwall, Devon, and the Isle of Wight, most recently as the founding CEO of Visit Isle of Wight the private sector funded tourist board created in 2012. His experience spans thirty years in the tourism industry and includes travel trade development roles at Alton Towers and Drayton Manor Theme Park, a stint in Washington DC with Madam Tussauds, and a head of marketing role in the Peak District between 2008 and 2012. He specialises in bringing brands and tourist destinations together for mutually beneficial promotions and collaborations. The global brands he has partnered with include Pepsi Max, Britvic, Nestle, Walls, Universal Pictures, Twentieth Century Fox, Paramount Pictures, Walker Books (“We’re going on a Bear Hunt”), Rowntrees Fruit Pastilles and others in the consumer, entertainment, hospitality and travel sectors. Mike is chair of the NCTA. He is principal of Westbourne Academy School of Language and has served in the education profession for the past 40 years. During this time he has marketed Bournemouth in Europe, the Far East, Middle East, Africa and Latin America. He is a founder chair of the Bournemouth Tourism Management Board, set up in 2006 which includes all sectors of the visitor economy and is responsible for the town’s destination management. Keith is Executive Dean of the Faculty of Management which includes the school of tourism, one of the largest and acclaimed tourism and hospitality faculties in the world, with more than 2,500 undergraduate, 300 postgraduate and 50 PhD students. Keith has held key positions at Bournemouth University for 20 years and is a Fellow of both the Royal Geographical Society and the Tourism Society. 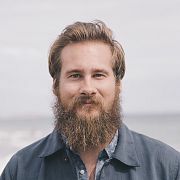 He has engaged in research work for a wide range of organisations including the English Tourism Board, Merseyside County Council, Sealink/Wightlink Ferries, Southern Arts and the Isle of Wight Tourist Office. He has played a significant role in the development of tourism education in the UK. Sara and her husband have owned and run two hotels in Bournemouth since 2003, successfully developing a business offering special interest holidays for groups. She currently employs a team of 40 so knows first-hand the excitement and achievement of running a tourism business alongside its challenges and frustrations. Sara has spent her career in marketing and business development and has been a member of the Chartered Institute of Marketing for more than 25 years. She worked in the IT and consultancy sector for major international businesses and public sector organisations for 16 years before moving to Bournemouth. 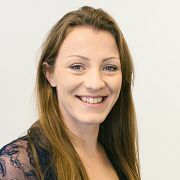 She has embraced the digital marketing opportunity in her own business and is working with a small digital creative agency on a proposition to help SMEs with market segmentation, sales lead generation and database marketing. She is a board member of the Dorset Local Enterprise Partnership, a member of the Bournemouth Coastal Business Improvement District (BID) board, committee member of Bournemouth Accommodation and Hotels Association and chair of Bournemouth’s Tourism Marketing Group.